If we picture a forest covered with birch trees into our mind, one will feel astounded by the beauty of these lining birch trees. They will go on for a walk to help them stay happy and healthy through mediating walk around them. One will lookout as the source of medicines from the leaves and saps. Another will grow them well in order to be able to harvest them as good wood for furniture. Some will eye on the birch trees’ barks that can produced into jewellery or shoe. Businessmen then will try to limit the land for growing trees to help them build buildings for commercial purposes. Travellers will visit these place as sightseeing spots where memorable photographs can be captured. Tourists who care less about nature will start to litter, pollute, and harm the forests. 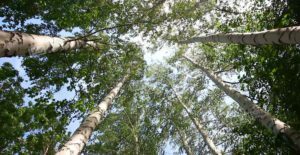 So how do Russians view about birch trees? But no one appreciates the usefulness and meaning of birch tree like the Russians. To them, birch tree has significant meaning and are like a gift from God that gave them holy protection and blessing. Ancestors of the Russians integrate birch trees as their core elements in their arts like poetries, proverbs, song, and even fairy tales and they strongly believe that it is God’s given gift which is the birch trees that played a big part of in their daily life. The sight of lining birch trees makes them feel protected. Russians would plant the birch near their houses and all around the village to form a sort of protective wall. They also consider birch trees as talismans to keep them safe from evil forces and diseases. No surprise if you would see Russians who experiencing life problems will take a walk over to forests of birch trees asking for wisdom, strength, and courage. Some too believe in the power of touching the birch tree to provide for natural healing, reducing stress, and restoration to their mental state. Russians are also especially appreiciating of its lightness, elegance, grace, and scent from the birch tree. Russian also celebrated the beginning of the year with the birch in spring. Birch trees are also standing strong in any kinds of seasons be it cold winter or scorching summer. It can bend downward but hardly break which represent a perseverance attributes. Birch trees also have rapid growth rate and could reach as tall as 25 meters as it is a light-demanding type of tree to source for sunlight. The birch tree is a symbol of the Russian natural environment and of Russian beauty and has a very special place in the country’s values. Birch trees somehow not only have rooted in vast lands of Russia but also in Russian’s life as one of their solid cultures and beliefs. In Russia, birch trees are treated with respect even in practical scenarios. Birch trees have a lot of wide variety of purposes. Every part of the tree have their own usefulness. 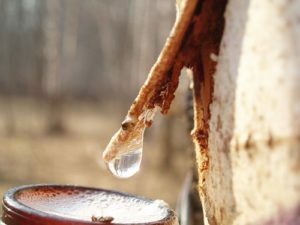 The leaves are rich with essential oils and vitamin C. Concentrated sap of the tree contains sugar and vitamins which can be process into syrup for herbal medicine and tonic. 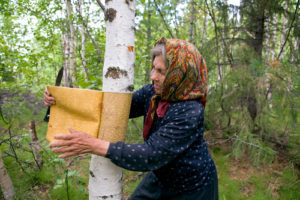 The oil in the bark of the birch tree is used in medicines to treat rheumatism and inflammations. Some Russians still sprinkled the wounds with the ground birch bark for its fast healing. Another unique is also the birch broom where the Russian incorporates it into Russian-type of Banya. The leaves and buds gave out phytocides that sooth and sterilize the air in the bath. Some also believe that a bath with birch leaf water is a good way to strengthen the hair roots. Birch tree pulp’s too can be process to make paper. The trunk of the tree are useful in construction for house or furniture. Lastly, barks from the birch trees are use for roofs, boats, clothes or even shoes. What did we learned today? In general, birch trees have a lot of beneficial uses to Russian. We as another part of the world have many aspects to learned from the Russian on appreciating nature and also incorporate it into our lives and believes. Nature has contributed in many aspects to human life not only in the practical and economic state but in our environment as well. We rarely take the time to step back and appreciate this goodness. Russians have shown a true evidence of how to embrace nature and it is beneficial for people’s health, well-being, and happiness.